The Paradox of Law and Magic? Rostam J. Neuwirth, University of Macau, Faculty of Law, E32, has published Law and Magic: A(nother) Paradox? at 37 Thomas Jefferson Law Review 139 (2014). Here is the abstract. In the past, paradoxes and similar rhetorical figures that are summarized by the term “essentially oxymoronic concepts”, have been frequently applied to describe mystical experiences or, more generally, “change” that represents the uncertain or the unknown. Thus, their usage has primarily been a privilege of the arts, literature or the occult sciences. Today, however, essentially oxymoronic concepts are increasingly permeating scientific, legal and other public discourses as much as advertisements or daily conversations. Concepts like “globalization paradox”, “co-opetition”, and “piracy paradox”, products labeled “ice tea” and “Sports Utility Vehicles (SUVs)”, and films entitled “True Lies”, are just a few examples that testify to this wider trend. Their usage appears especially prevalent in attempts to scientifically describe and understand the often complex relations between two or more different phenomena or fields. In this regard, the relation between law and magic may be no exception, as it can also be framed by, or gives rise to, several paradoxes. For instance, in early history, and later, in the context of colonialism, laws have often outlawed magic as “witchcraft” or “charlatanry”, based on the belief that their character is irrational, as opposed to the rational character of the law. Paradoxically though, contemporary laws and legal practice still maintain a high degree of rites, rituals and rhetoric, similar to those that have been applied in magic. Similarly, as Jerome Frank has remarked, despite the law’s focus on certainty, it striking to see how often “magical phrases” are used in its language. 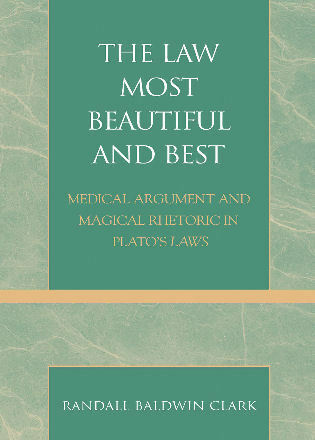 The apparent contradictions in the nature and language of the law are therefore taken as an opportunity to cast some light on various issues that link law and magic in order to gain some insights about the nature, origin, and role of law generally. Download the article from SSRN at the link. The article forms part of the conference papers from the Law and Magic symposium held at Thomas Jefferson School of Law, June 2014. Jennifer Michael Hecht reviews Susan Jacoby's The Great Agnostic for The New York Times. From today's New York Times, Eric Weiner's opinion piece on the Nones, those who aren't atheists, but aren't quite religious. They're undecided.They're still seeking. They're Seekers (my term, not his). Mr. Weiner offers his explanation of why, and what the Nones are looking for. He suggests it's rationalism, humor, a view of the world and their place in it that shows them how to find answers that reconcile the big questions with the little ones. And, he says, they don't like all the anger in the public square that we get now over the Free Exercise Clause and the Establishment Clause. After 275 years, is the age of the Enlighenment having a Renaissance? Adam Samaha, University of Chicago Law School, has published Regulation for the Sake of Appearance as University of Chicago Law & Economics Olin Working Paper No. 576 and University of Chicago Public Law Working Paper No. 364. Here is the abstract.